It is that time of year again and thoughts of the Old Front Line during the winter months of the Great War come to mind. This image is from a German source and shows a well constructed trench in Eastern France, possibly the Vosges during the early period of the war. There are little signs of damage, which would indicate a second or third line position and while there is a man on sentry duty in the background, it is unlikely the enemy is very close. What is always amazing when viewing images like this is the thought that men lived in positions like this on a daily basis come sun, rain, or as in this case – snow. This image was taken in the Vosges area, a region known for its severe weather and deep snow in the winter, and a sector of the Western Front in Eastern France where the fighting revolved around mountainous terrain. Here a group of French Alpine Troops are using skis are ‘on patrol’ although the front here was never really that fluid to allow such patrols to take place in the face of enemy positions and this is likely to be a posed image taken behind the French lines. 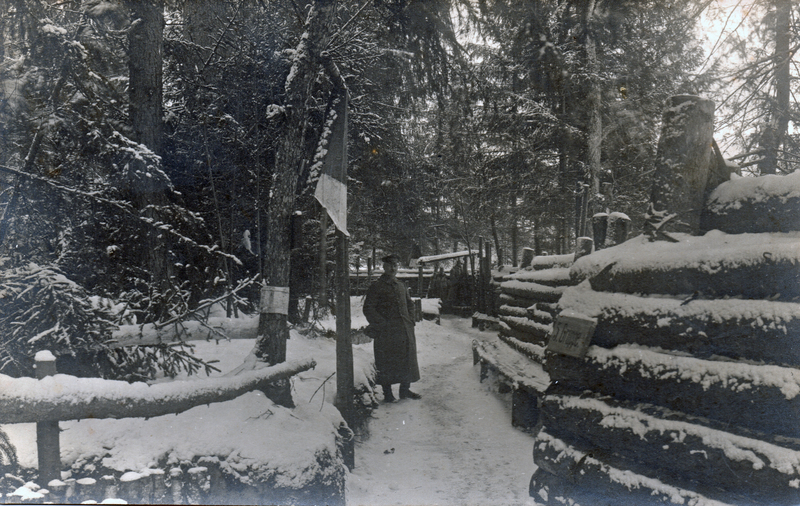 However, it does give an insight into winter conditions in the Vosges in 1915. As winter officially began this week it is an apt period to be looking at winter on the battlefields of the Great War and all this month the site will feature images relating to the winter period during WW1. 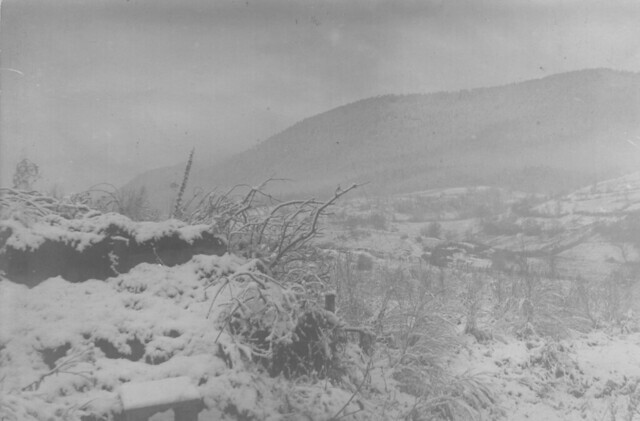 We start with a German image of the Vosges mountains in the snow sometime in 1915. The Vosges was the end of the Western Front, an area of occasionally heavy fighting but largely characterised by long periods of static attritional trench warfare. Being in Eastern France it was also the colder end of the front where during the winter temperatures regularly dropped substantially below zero. While the landscape in the snow might look attractive, and this also appears like a tourist photo, the reality is that men had to live in holes in the ground on battlefields like this during the winter period. The Great War generation was tough but even they struggled to cope in landscapes frozen solid and covered with deep snow.